As I logged onto Twitter a few weeks ago the hashtag #GoldenGlobes was trending, and so I mindlessly clicked it to follow the evening’s fashion moments and the winners. As most are already aware, the Time’s Up movement had taken the red carpet by storm, with most of the celebrities donning black gowns and suits in a fight against sexual misconduct in, not just the film industry, but all workplaces around the world. Set up by many high-profile, female actors, producers, directors, writers and other industry personnel, the Time’s Up movement was created to make sexual harassment in the workplace a thing of the past. 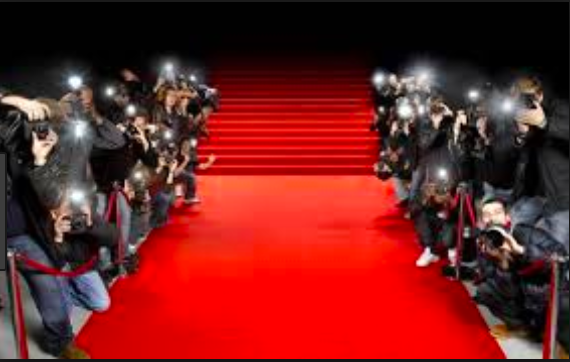 Watching all these film and television stars smile and wave for the dozens of cameras, my stomach began to drop as the tweets regarding some of the child actors present at the awards began to roll in. As ‘Stranger Things’ star Millie Bobby Brown arrived on the red carpet, my first thoughts were ‘her jewellery is nice’ and ‘I wonder who does her hair?’. Unfortunately, these harmless reflections were not shared by the users of Twitter who deemed it their responsibility to comment their vulgar views on this child’s appearance. One user wrote (who, from his profile picture, I gauged was in his mid-forties) that she [Millie Bobby Brown] had ‘grown up before his eyes’ and ‘really started to take shape’. It made the hairs stand up on my neck to see a grown man comment so explicitly and so unabashedly on this 13-year old child’s appearance. The hyper-sexualisation of young actors is nothing new to the film and TV industry, with many former child stars such as Mara Wilson and Corey Feldman commenting on the rampant paedophilia that is commonplace in Hollywood. There seems to be a specific problem in show business where producers and executives and, by extension, viewers no longer see these young stars as children and instead see them as something to sexualise and lust over. It appears as though there is a disconnect between the word ’child’ and the word ‘actor’, where fans of films or shows see them simply as characters and unlike real-life people. Certain individuals – and thankfully it is only a small demographic – seem to view child stars as absent or separate to other children, and therefore are available for these individuals to project fantasies onto or send obscene messages to online. 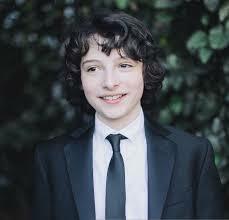 One such incident of the separation of child actor and character was when a model caused controversy late last year when she posted a picture of ‘Stranger Things’ star Finn Wolfhard to her Instagram story with the caption “call me when you’re 18”. This, as one would imagine, caused outrage, as the 27-year old woman appeared to be lusting after a 15-year old boy. The entire “call me when you’re 18” comment is mirrored in other instances where people appear to be waiting around until the child actor becomes of legal age, and their desire for them is no longer creepy or illegal. When ‘Harry Potter’ actor Emma Watson was nearing her 18th birthday several websites and tabloid newspapers set up countdown clocks for this very reason. Mara Wilson, a famous child actor, recently wrote an op-ed for ELLE magazine where she worries for the young stars of the day, and criticises grown adults for calling 13-year old Millie Bobby Brown “all grown up”. Indeed, a 13-year old child is not all grown up, they are not ‘mature’ and ‘adult-like’ – they are, in fact, a child. However, it appears the viewers have disconnected from the fact, either by choice or they didn’t notice that these young actors do indeed have separate lives away from the characters they portray and are therefore not eligible to be lusted over or desired by fully grown adults. This type of mentality towards these young stars can prove damaging to their development as people. With the Time’s Up movement highlighting how abuse and harassment can become normalised in people’s minds, one worries that these child actors will see the fanatical sexualisation of themselves as ‘normal’; a thought which is extremely worrying. This type of paedophilia and over-sexualisation of child stars has been commonplace in Hollywood however, with many former young actors calling it ‘a serious problem within the movie business’. With the Weinstein effect currently outing many instances of sexual misconduct in the film industry, it is widely hoped that it will also expose those who wish to abuse the naïve nature of these young stars. Obviously, there is nothing wrong with appreciating the acting talent of these young stars. The problem begins when viewers start seeing them as sexual beings, people they can project their sexual fantasies onto. A child is a child regardless of whether they act in films or go to school every day: they are still young, innocent and not in any need of the stresses that being sexualised by grown adults puts on them. Unfortunately, it does seem to be a widespread problem within the entertainment industry, and unless adults and older actors start acknowledging the problem, it is going to continue to poison every aspect of the film and television trade.